From the Island of La Reunion to the Napoleonic symbol that is the Arc de Triomphe, through big and small towns, as well as the usually bucolic countryside in France, there is something special in the air: the smell of fires on barricades, the smoke of tear gas, the anger built upon decades of inequality, injustice and despair for most. Among the Gilets Jaunes, many understand intuitively that the current democratic process is dead, and therefore the only option is the occupation of streets and roads. History usually moves at a snail’s pace, but sometimes a series of events abruptly push societies to a breakdown, to the fascinating and somewhat beautiful and chaotic quantum leap that is a revolution. Some cultures have it in their collective DNA to embrace, without fear, the chaotic changes of revolutionary turmoil: France is not only one of them, it was arguably the first one when its sans-culottes citizens cut off the head of their absolute monarch Louis XVI. It was unthinkable then; could it happen again? It is still premature to call the Gilets Jaunes movement a revolution, but one can say categorically that this unexpected and spontaneous grassroots movement has put France on track for the preliminary stages of such a dramatic event. While the Gilets Jaunes started as an apolitical protest mainly focused on gas taxes deemed unfair, it has, in a matter of three weeks, morphed into a movement that calls for many structural changes as well as the resignation of France’s President, Emmanuel Macron. 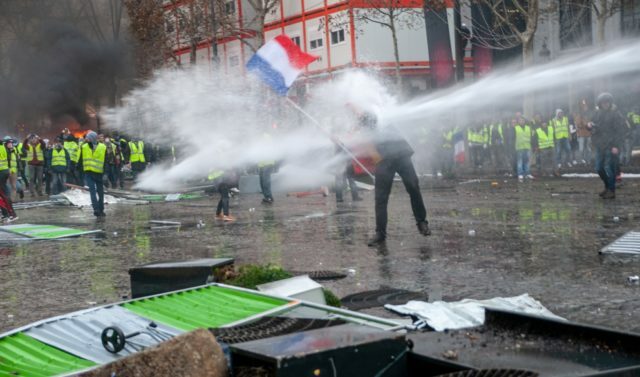 The French government is under attack and says that the Republic is in peril from the chaos of the unreasonable extremists within the Gilets Jaunes. What the yellow vests of the Gilets Jaunes symbolizes is blue-collar workers, struggling retirees and students who revolt against the suits of the political class and CEOs. The Gilets Jaunes feel betrayed by the political class and even the Republic, and they view Macron as the president of the rich, acting often like a king and as if he is whispering about his subjects the “let them eat cake” of Marie-Antoinette. It is an anger over social inequality that fuels the Gilets Jaunes. While the integrity of the European Union should be defended for geopolitical reasons — otherwise European nations will lose their voices on the world stage — if the Gilets Jaunes movement spreads, perhaps the EU can fully become a European Union by and for the people, not the current EU of a rarefied ruling class. The Gilets Jaunes movement is strictly horizontal, without a hierarchy or recognized leaders. It has, so far, refused to be hijacked by political parties: either the Rassemblement Nationale of Marine Le Pen on the far-Right, or La France Insoumise of Jean-Luc Melenchon on the Left. It has also rejected association with French labor unions. Without spelling it out, the Gilets Jaunes movement is anti-capitalist: a guttural revolt of the have-nots against the elite. It is a popular, not a populist, movement. Europeans and even American populist-nationalists are already distorting the Gilets Jaunes’ significance to serve their political agenda. As opposed to the rise of nationalism-populism elsewhere, such as in Italy, Austria, Hungary, the UK as expressed by BREXIT, the US, and Brazil with the election of Bolsonaro, the Gilets Jaunes do not have an anti-immigration or even an anti-EU agenda that reeks of racism and neofascism. 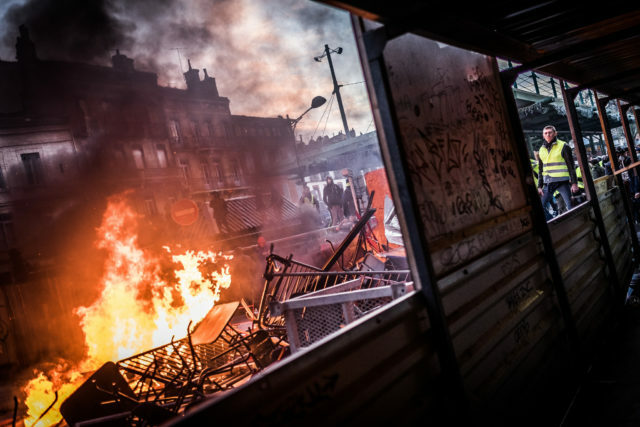 The Gilets Jaunes are in revolt against capitalism or neoliberalism, which is a worldwide system of concentration of wealth and power into a few hands. With our pending ecological collapse and vanishing biodiversity, capitalism has failed and is reaching its end game. 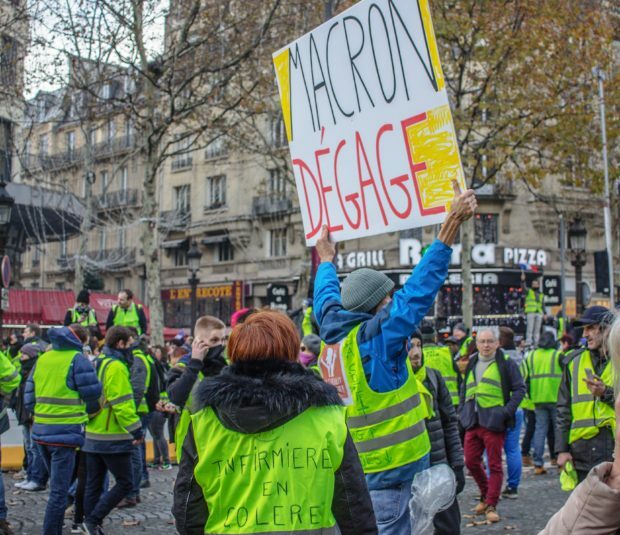 Unlike the neofascist science deniers, the Gilets Jaunes perceive climate change as a crisis, but they say that it is hard to focus on a global ecological collapse when you live from paycheck to paycheck. They feel that they deal with the anxiety of putting food on the table at the end of the month while the rich talk about the end of the world. Thinking about humanity’s survival is hard to do on an empty stomach. 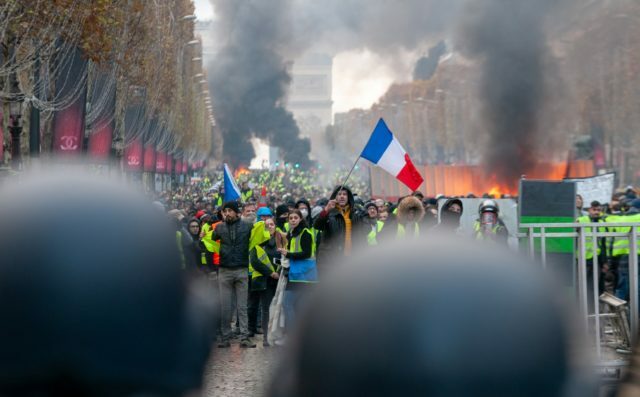 Some outside observers, as well as a few Gilets Jaunes have made an analogy between this movement and the events of May 1968 in France, from which the main result was the resignation of General Charles de Gaulle. This is questionable. The 1968 movement was, at its origins, a student movement partially inspired by neo-Marxist ideas. In France, and worldwide, especially in the US, there was the somewhat fuzzy hippy peace-and-love cultural trend dancing to the soundtrack of Woodstock. This was more like a mini cultural revolution: a clash of generations, with the youths revolting against the moral rigidity of their parents. As the ultimate father-figure, General de Gaulle was a prime target. As the baby boomers came of age, the late 1960s everywhere were more about sexual liberation than anything else. In our darker times, when humanity’s extinction has become a legitimate topic of discussion, this hedonist element is entirely gone. The Gilets Jaunes are about bread-and-butter issues, not free love. This is not the Gilets Jaunes reality, as their demographic is, on average, much older. 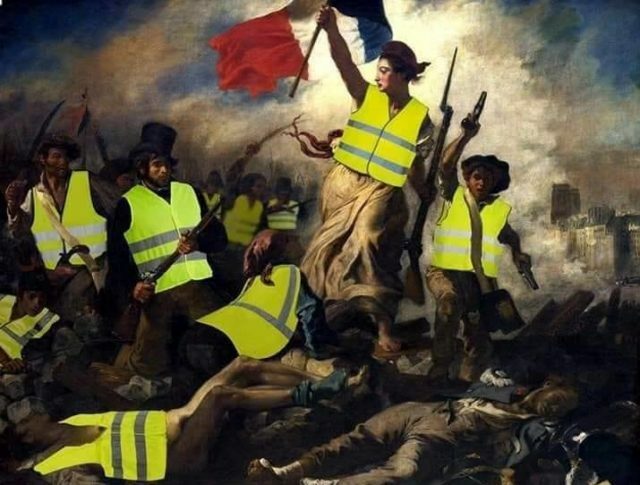 In this regard, the Gilets Jaunes have more in common with the sans-culottes of the 1789 French Revolution than the sons and daughters of the bourgeoisie of 1968. Gilets Jaunes is at its core a blue-collar revolt against unfair taxation and blatant social injustice, a revolt against the dead end that is global capitalism. The “casseurs” are insurgents: repression or compromises? 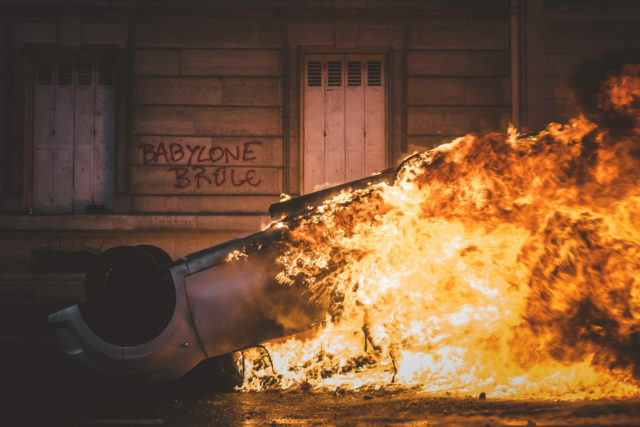 French mainstream media, which are all on the side of the establishment, have portrayed some Gilets Jaunes as “casseurs” responsible for what they describe as urban guerrilla warfare. By doing so, they are attempting to gut the protests of their sociological and political content. 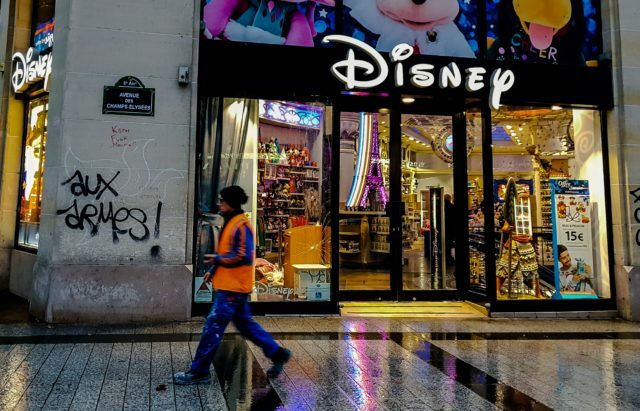 Casseurs break things and attack riot police for no reason, whereas the insurgent segment of the Gilets Jaunes target symbols of capitalism, such as luxury stores and banks, and retaliate against the blind violence of the state personified by the CRS riot police. Macron’s compromise to scrap the gas tax hike is viewed as too little too late. Gilets Jaunes demands have grown to include systemic fiscal and social changes, such as: reinstalling the Impot sur la Fortune (ISF) that taxes the rich; and increasing both the minimum wage and minimum retirement income to 1,300 Euros a month. Macron can either compromise on these and other points, get rid of his prime minister, and perhaps dissolve the National Assembly and call for new elections. Or he could harden the police repression by declaring a state of emergency and, even worse, call on the French Army to maintain order as some police officials have suggested, in which case the state of emergency would become a de-facto martial law. Playing hard ball with the Gilets Jaunes could be a fatal mistake for the French government. Back in 1789, King Louis XVI had a chance to abdicate his absolute power and become a constitutional monarch: he refused, and this mistake cost him his head. Revolutions never happen in a sociological and historical vacuum. This being said, the spark that can light up the fuse of such an atypical event is usually unexpected. A population can take only so much inequality, injustice and oppression. Under inhumane and unbearable pressures, societal time bombs do go off. Revolutions, successful or not, express a collective rage against a social order that has failed the vast fraction of a population. It is the fracture when talks and compromise become useless, a break point where violence and destruction appear to be the only options. This critical mass was reached for the brutalized and exploited French sans-culottes in 1789, Haitian slaves in 1791, Russian serfs in 1917, and Chinese workers and farmers in 1949. As an expression of the anger of a population with nothing left to lose, cornered by a delusional ruling class, revolutionary explosions are mighty and often unstoppable. 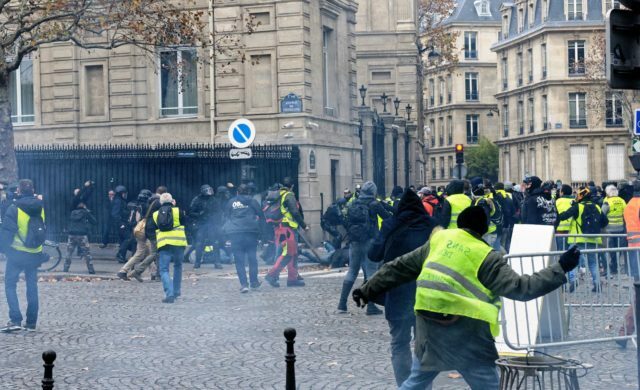 Time will tell if the Gilets Jaunes movement has enough legs and bite to catalyze such an improbable revolutionary event. 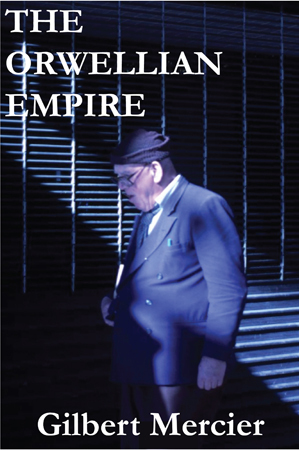 Editor’s Notes: Gilbert Mercier is the author of The Orwellian Empire. Listen to “Macron orders huge police mobilization ahead of Yellow Vest protests” on Spreaker. Listen to “Macron government backs down in victory for Yellow Vest protests in France” on Spreaker. Listen to ““Yellow vest” movement in France continues, causes political crisis” on Spreaker. November 5, 2018 The Global Rise of Fascism: Capitalism End Game? 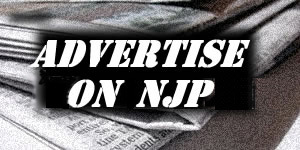 September 26, 2012 Can a Global Revolution Be Non-Violent? 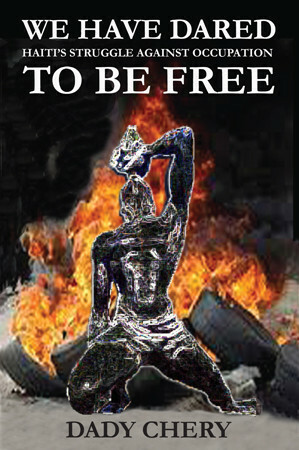 June 16, 2012 Will Occupy Radicalize and Globalize or Fizzle out and Die?